The forth, and likely final, adventure for Nathan Drake, Uncharted 4 is not just an excellent game. Combining jaw-dropping visuals with great gameplay and confident storytelling, Naughty Dog proves they are still some of the industry’s best developers. 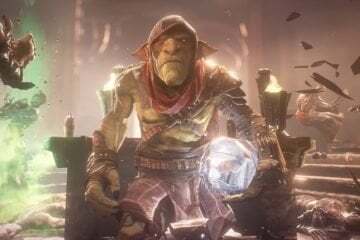 A Thief’s End is a worthy conclusion to Nate’s story and a heartfelt love letter to the fans that have been with the series from the beginning. Make no mistake, Uncharted 4 is a departure from the previous games. 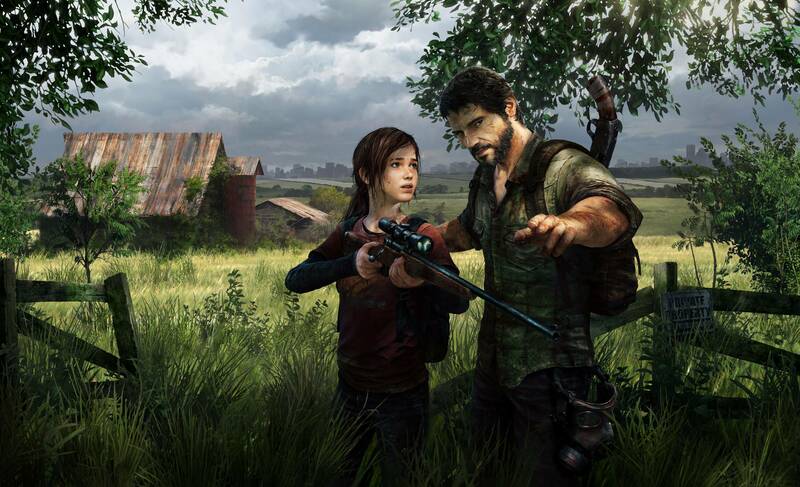 With The Last of Us creators Neil Druckmann and Bruce Straley at the helm, the different creative sensibilities mold the experience from beginning to end. 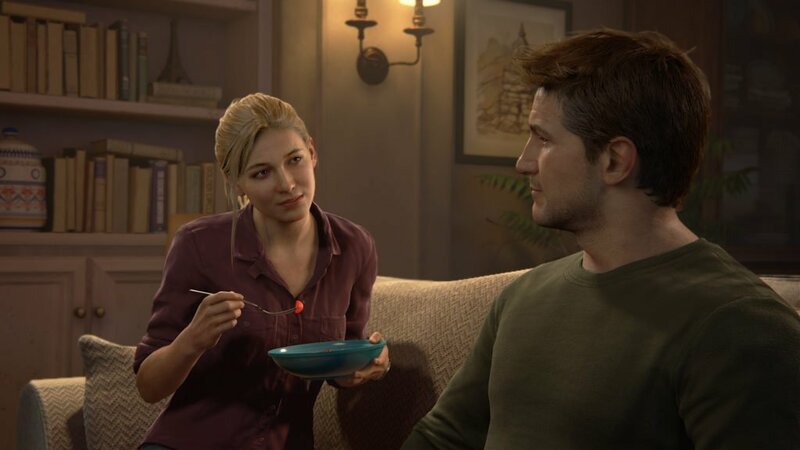 Taking a more mature look at the characters of Uncharted, and offering a more grounded, subtly emotional narrative, Drake’s final adventure is unlike any of the previous entries. That said, the core sense of adventure and lovable character is still just as present. The game opens slowly, taking two to three hours to really get going. Much like Uncharted 3, that initial set up gives players the chance to see Nate when he’s younger. Instead of focusing on his relationship with Sully however, this time the backstory has to do with Nate’s older brother, Sam. Setting up who Sam is, his relationship with Nate, and just why his younger brother hasn’t ever mentioned him before, the first hours are a very slow burn. But the emotional pay off is worth it. When we finally catch up with Nate in present day, he’s married to Elena. Living a quiet life, the two of them are doing their best to be normal. Meanwhile, the treasures, maps, and everything from their previous lives gather dust in the attic. Needless to say, it’s a hard thing to see, especially when it comes to Nate, the fearless adventurer we’ve all fallen in love with over the past decade. When Sam suddenly shows up however, a terrifying debt hanging over his head and a clue to a massive pirate fortune in his hand, things pick up fast. From there, another globe-spanning life-and-death treasure hunt begins. Packing the 17 hour story, the climbing, cover-based shooting, and narrative Uncharted is known for quickly take center stage. Uncharted 4 is easily the most ‘human’ of the four games. 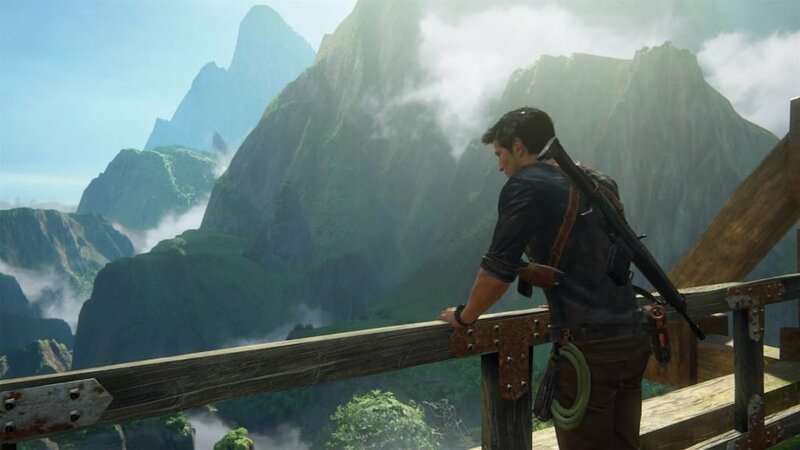 It’s true, seeing Nate free climb a mountain side a thousand feet over a jungle can sometimes put a dent in his everyman persona, but that’s always sort of been part of Uncharted’s weird charm. 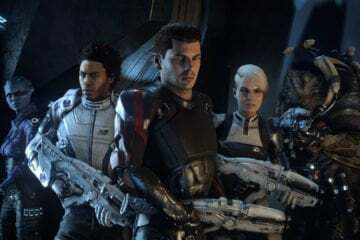 When it comes to the storytelling, no other game in the series has played as deeply with what exactly makes Nate, Elena, and Sully tick. Nate is the beating heart of the game, and the entire narrative hinges on the relationships he has with Sam and Elena. From the onset, the brotherly connection between him and Sam (played by The Last of Us’ outstanding Troy Baker) is palpable. At the same time, Nate and Elena make an adorable (and heartbreaking) married couple. Seeing Nate’s internal struggles as he comes to terms with just what kind of man he wants to be brings even more weight and depth to the already well-realized characters. The other two new faces, Rafe and Nadine, are both also wonderfully handled. 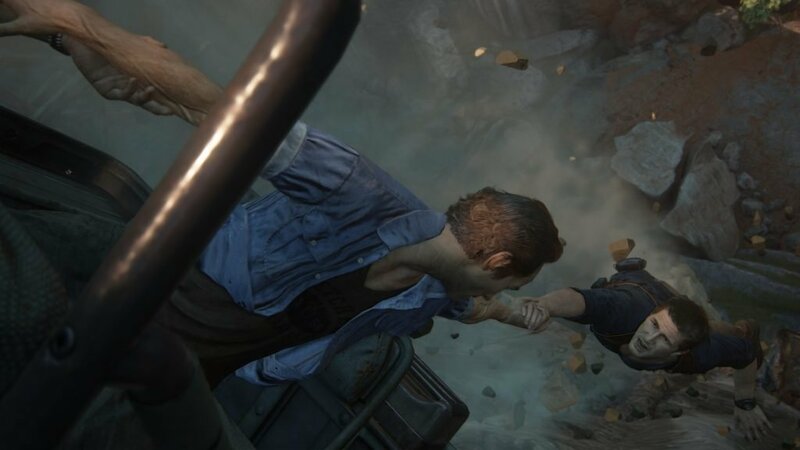 While Uncharted’s villains have often felt more like action movie clichés than anything else, Rafe and Nadine manage to largely avoid that. Each is distinctly interesting and developed in their own way. Though it was a shame to not see Chloe or Charlie make a return, the cast is more than robust enough. Overall, keeping the main focus on Drake and his immediate family is the right move. Bringing in one breathtaking setting after another, A Thief’s End manages the same wide range of locations as Uncharted 3, but does a better job of tying it all together as a cohesive whole. From tightly packed rooftops, to massive African plains, to lush jungles, each and every environment is a joy to behold. But more than that, they are a joy to explore. And the difference in tone aside, this is likely the biggest change to Uncharted’s formula. While the first three games did offer some big areas, there was always a single, fairly clear path leading you forward. 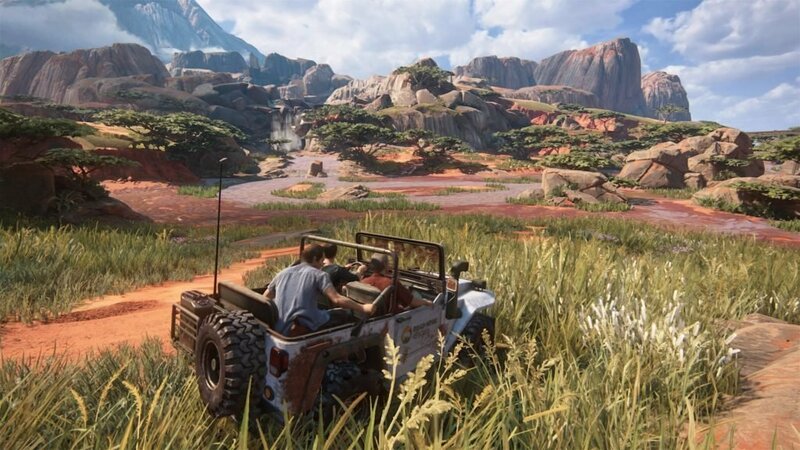 None of them felt as open, or as complexly rich as the environments showcased in Uncharted 4. Exploration is a large part of package this time. With dead ends and loops, there actually are ‘wrong ways’ to go. Areas are no longer simply well decorated hallways to shoot your way through. Instead, A Thief’s End asks you to think a bit more carefully, and look around your surroundings. Many times, it also just gives you a place to explore for the sake of seeing what’s there. For those willing to take their time with the game, this is wonderful. 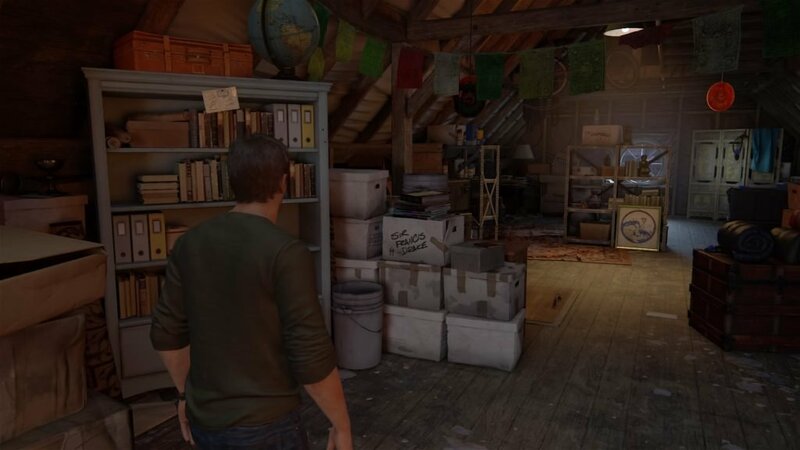 In terms of environmental storytelling, it delivers in many ways that even surpass The Last of Us. With all of this however, it can be easy to get lost if you aren’t paying attention. Exploring every nook and cranny of the map can lead to treasures, notes, and even optional conversations between characters. 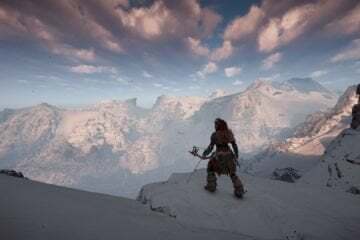 Without a crafting system to collect resources for, like The Last of Us or Tomb Raider however, a collectible treasure is sometimes the only unfortunate, sour way of realizing you went the wrong direction. This greater opportunity for exploration is compounded with the fact that Uncharted 4 then places a lot more emphasis on transversal. Whether it’s giving you a jeep to drive around in, or the new sliding and grappling hook mechanics, there’s actually less shooting overall, with more time spent figuring your way through the environment. 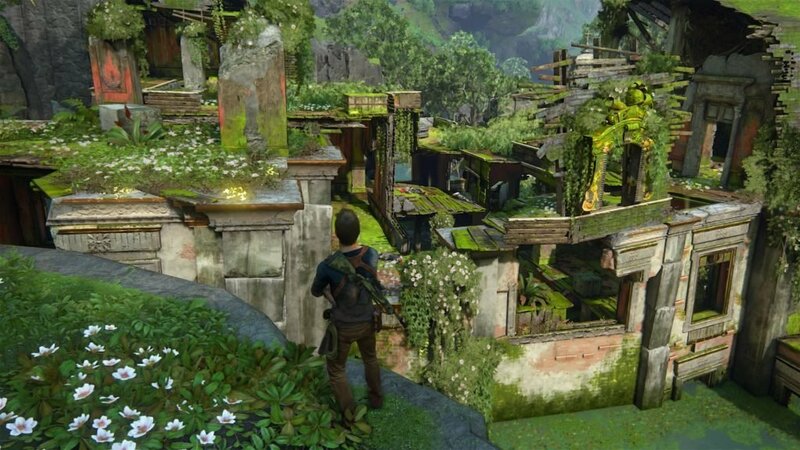 Naughty Dog’s platformer roots shine through as solving each mini-puzzle of how to reach the next ledge becomes a larger focus than ever. 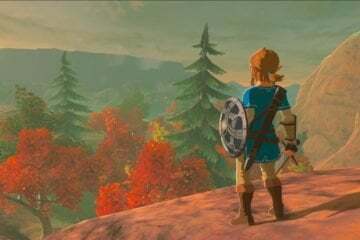 Never particularly difficult, each obstacle usually boils down to the video game cliché of “Let’s find something to stand on,” followed by the finding of the same wooden crates that somehow fill every corner of the globe. Even with that the case though, the addition of the grappling hook and using other gameplay elements, like the jeep, in the platforming keeps it from ever becoming too stale. Something similar can also be said of the jumping and climbing portions as well. Even over a dozen hours in, I couldn’t help but smile with each death-defying stunt. Sliding down a rock embankment, only to jump at the last second, grapple onto a tree, swing, and jump again to the opposite cliff is still exhilarating, no matter how many times I’ve done it. Admittedly, to enjoy such segments, players are asked to suspend their disbelief a bit where the rope is concerned. Let’s just say it, Nathan Drake’s grappling hook is magical. It never misses, doesn’t seem to have any particular set length, and manages to retract and recoil on his belt in less than a second, all while he’s sliding down an embankment or even in midair. In spite of that though, it never bothered me, simply because of just how much fun it is to use. Sliding, grappling, and the sense of dynamic movement even make an appearance in combat. 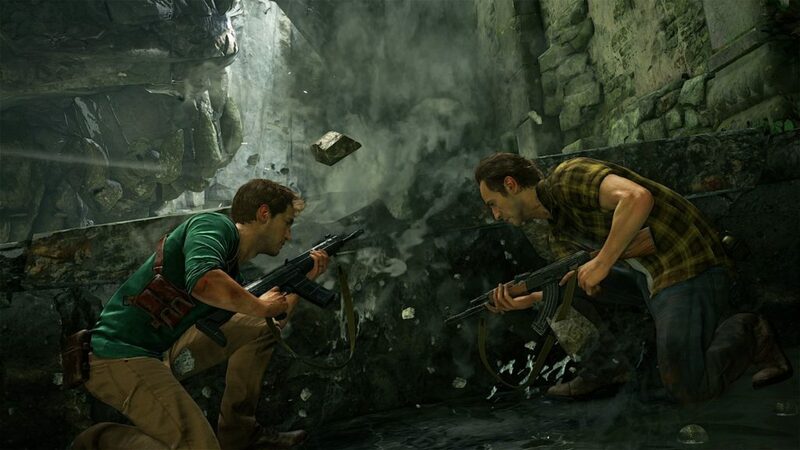 Uncharted 4 features the most complex and vertically built combat areas in the series. New mechanics, like enemy detection meters and the ability to hide in tall grass and even mark enemies, bring a whole new flavor to gunfights. 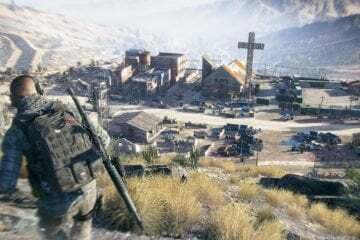 The standard cover-based shooter foundation is still there, but stealth and thinking tactically about sight lines and escape routes has never felt more natural. At one point, on top of a partially submerged building, I became overwhelmed with enemy snipers. Instead of hunkering down, I leapt off the side of the roof, diving into the water. Staying beneath the surface, I found an open window that I could use to access the interior of the building. Clearing out the few enemies inside, I snuck out the back, keeping to a line of tall grass. Still searching for me where I had jumped into the water, the snipers never saw me coming as I grappled to a tree and swung my way behind them. Every encounter feels similar to this, where simply finding a spot to take cover and picking off the enemies in front of you just won’t do it. 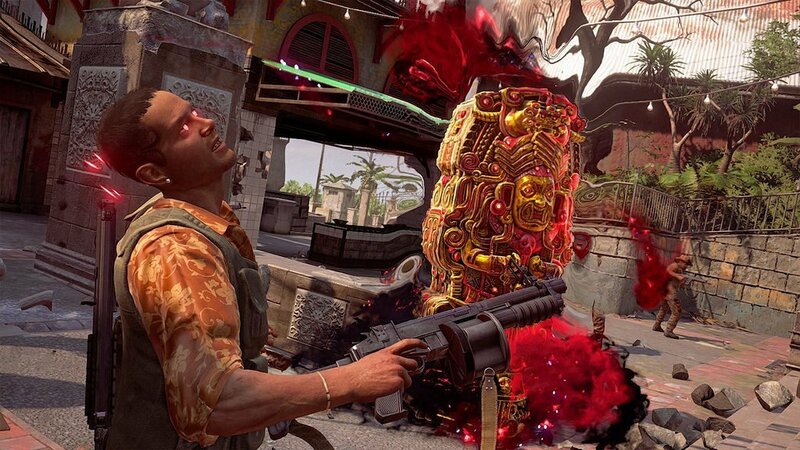 While perhaps chaotic at first, especially for those looking for a more traditional Uncharted experience, the new pace of combat soon becomes second nature. All of this also extends to the game’s fantastic multiplayer mode. Drawing heavily from The Last of Us multiplayer, the offerings in Uncharted 4 are built around intense 5v5 team fights. 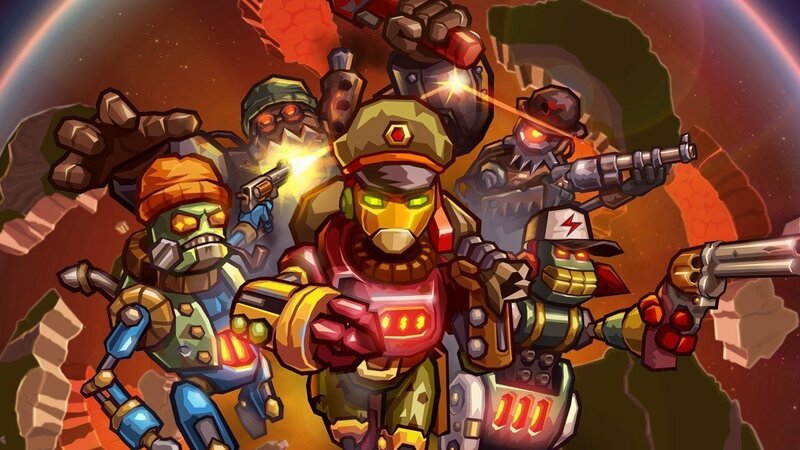 Set on eight large, diverse maps, as vibrant as anything in the single player, players can choose from Plunder, Command, or Team Deathmatch game modes. While Plunder is similar to capture the flag, Command sees players fight over control points, with the highest scoring players on each team becoming commanders. Commanders receive extra perks, like having more health while downed. But they also reward the enemy team more points when they’re killed. Despite each mode’s various trappings, each is made to promote big fights, where positioning and teamwork are everything. In case that’s not enough to get the blood pumping, multiplayer also features a handful of what are called mysticals. These skills, purchased in-match, are each modeled after the more magical elements of the Uncharted universe. Throwing out the Wrath of El Dorado places down a massive golden sarcophagus that hurts enemies in a large radius around it. Meanwhile the Cintamani Stone will revive any downed allies in its area of effect. Also unlocked throughout each match are AI sidekicks. Spawn a mini-gun toting Brute to back you up, a Sniper to keep a choke-point clear, or even a Medic to help you and your team. By the end of any given match, the firefights become massive encounters, sidekicks and players filling out the map, with mysticals flying back and forth. There’s no traditional leveling system in multiplayer. 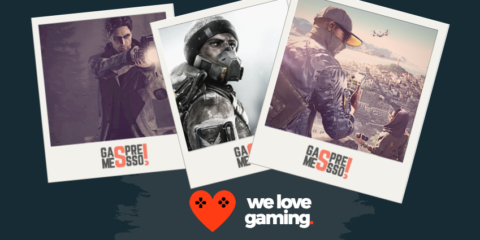 Instead, using specific weapons and skills will progress you towards unlocking modifications for those skills and weapons or unlocking new skills and weapons of the same types. Likewise, completing challenges and the different tasks in the AI trials will give you relics. Relics can then be spent on chests containing random drops of mods or anything from an impressive array of cosmetic items, like new characters, skins, hats, and taunts. 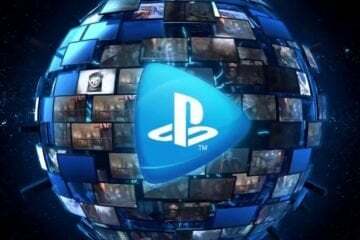 For those that don’t want to try their luck with the random drops, cosmetic items can be purchased individually with Uncharted Points, the game’s microtransaction currency. While not the deepest or most expansive multiplayer, and sadly missing anything as addictive as the survival group meta-game from The Last of Us, there’s still plenty to love in Uncharted’s multiplayer offerings. The tense team play rarely disappoints. And with more maps, modes, and additions due to come, Naughty Dog looks set to support the multiplayer for quite a while. 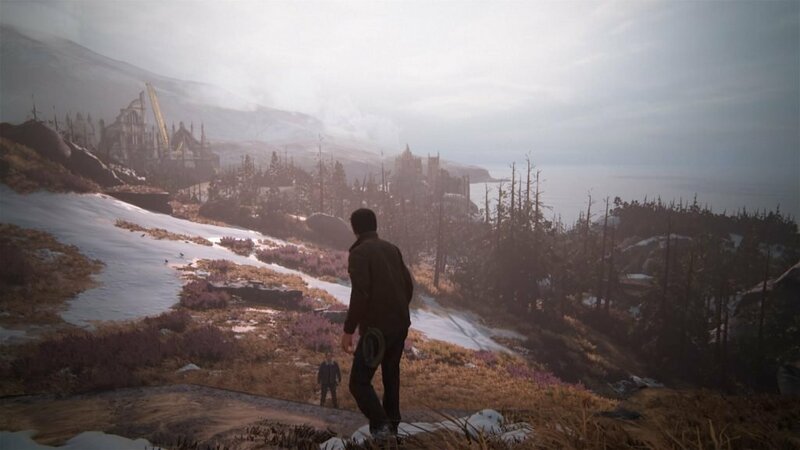 Across the board, Uncharted 4: A Thief’s End is a graphical powerhouse, showcasing a level of realism and beauty to rival any video game on the market. Whether it’s the dense jungle, or a crowded city street, everything looks gorgeous and alive. More than just looking nice though, the game also delivers on every other front. Despite its couple of minor flaws, Uncharted 4 is polished and a blast to play. With dozens of nods to Naughty Dog and Uncharted’s past, A Thief’s End feels like much more than just any other game. 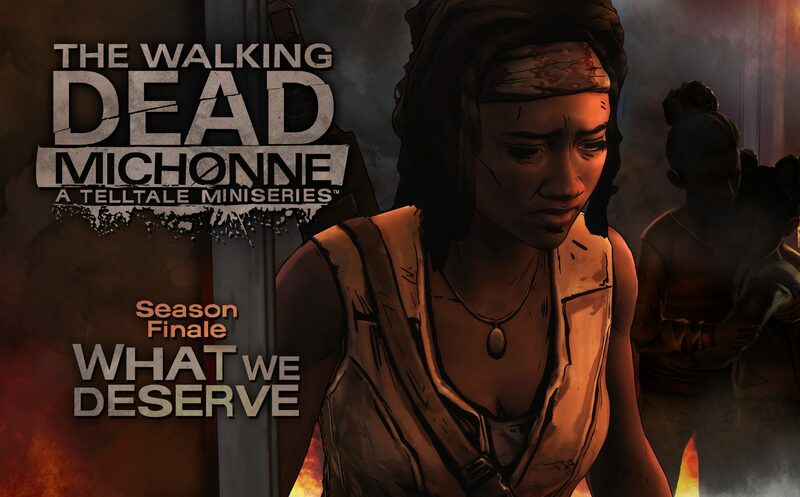 It’s the end of a series, a lovingly crafted message to fans, and an excellent send off for Nate, Elena, and Sully. I’ll admit it, I teared up a little bit at the end.